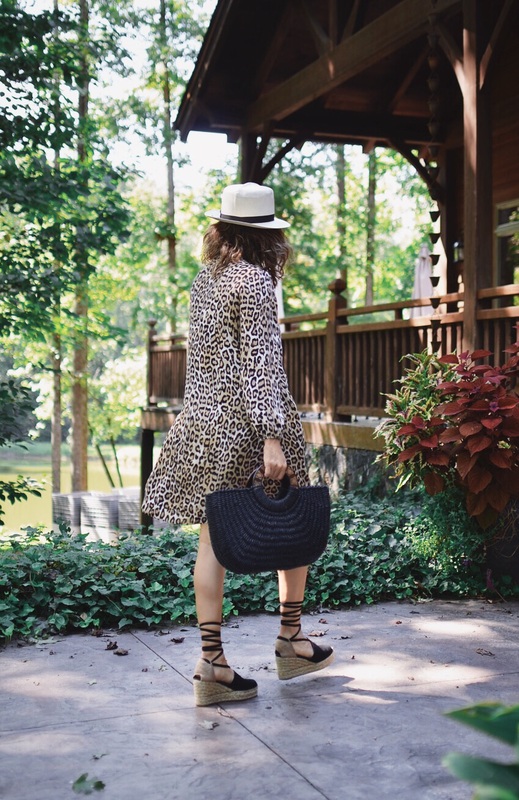 I know at this point you've seen more animal prints in your Instagram feed than you would see in a Safari trip. Maybe this is a good thing for the ones that aren't sure about wearing wild prints and can help them to warm up to the trend. 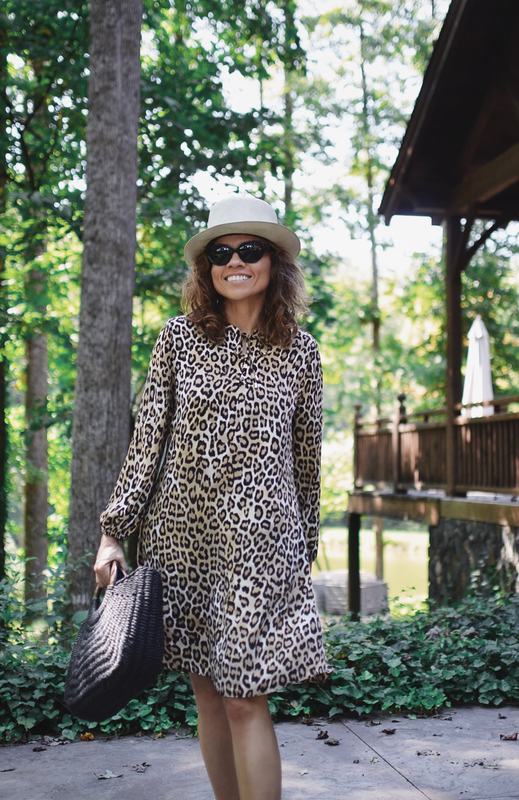 I personally see and use animal prints (mainly leopard) not only as a pop of fun, but also as a neutral. 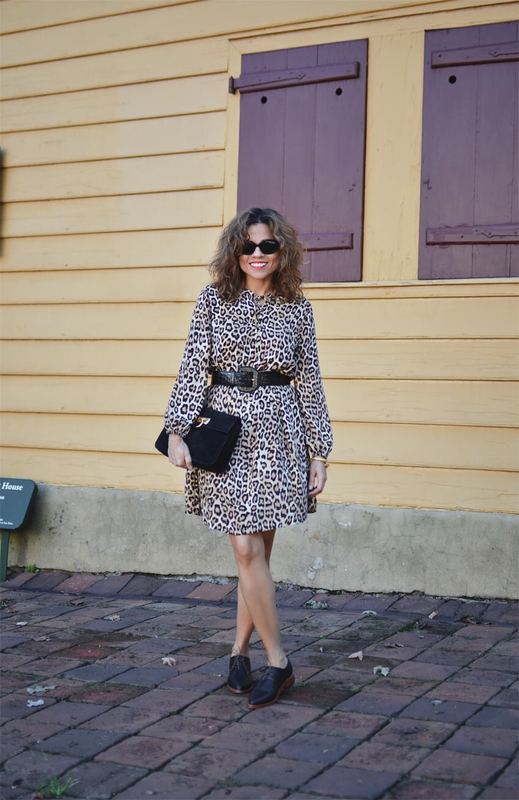 Today, I'm showing you two ways to wear leopard printed dress. 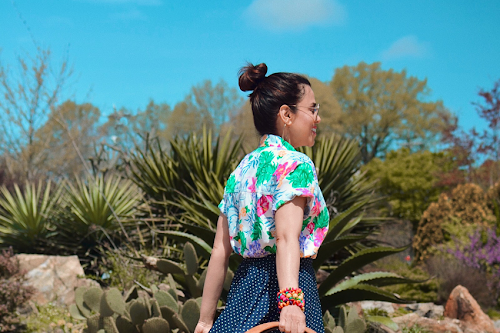 One look was styled for wearing into town and the other to wine country. Both looks were styled with mostly black accessories because I wanted to add extra sophistication to the print. I really like the idea of shade-coordinating with the black part of the leopard print because it creates a strong and yet elegant contrast. 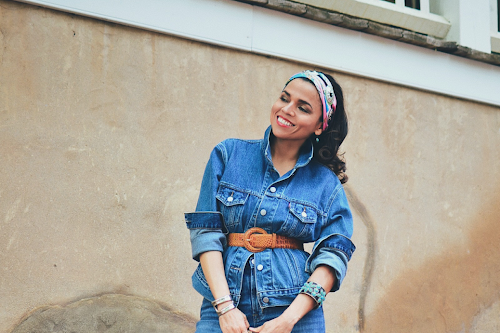 In my first look, I wore gold accessories to add a city-chic vibe. If you noticed, I wore the cutest elephant head earrings and a cool alligator bracelet that brought extra wildness to my ensemble. 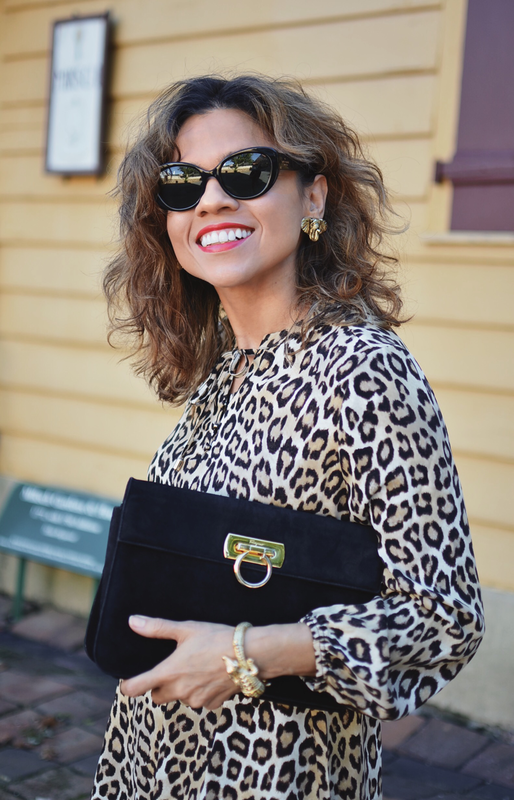 I also chose to carry my vintage Ferragamo suede bag because it has gold hardware that perfectly matches my jewelry and also adds a classy touch to the overall look. I chose to wear brogues because a masculine touch is often part of my style. With my wine-country look, I didn't wear any jewelry. I wanted to keep this look as simple as possible and let the dress to flow on its own. 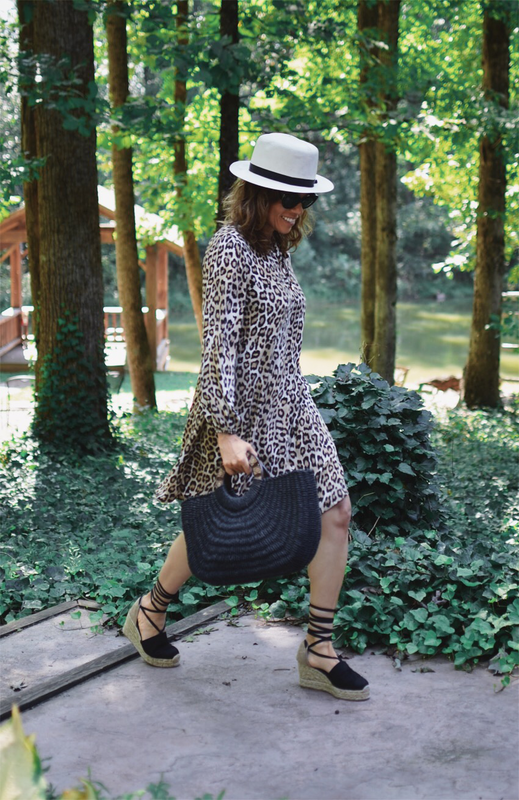 I often love to wear espadrilles and hats to wine country, so those accessories were a must, but they were also chosen for their neutral colors. 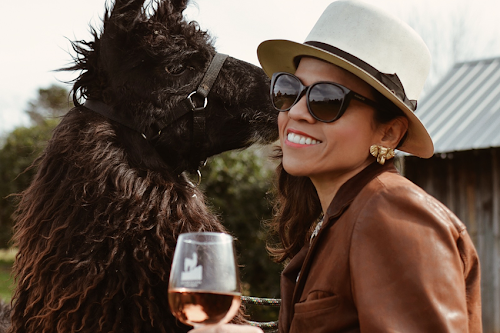 By the way, my Montecristi Optimo panama hat was my favorite accessory of this summer! and I'm planning to wear in Autumn as well.